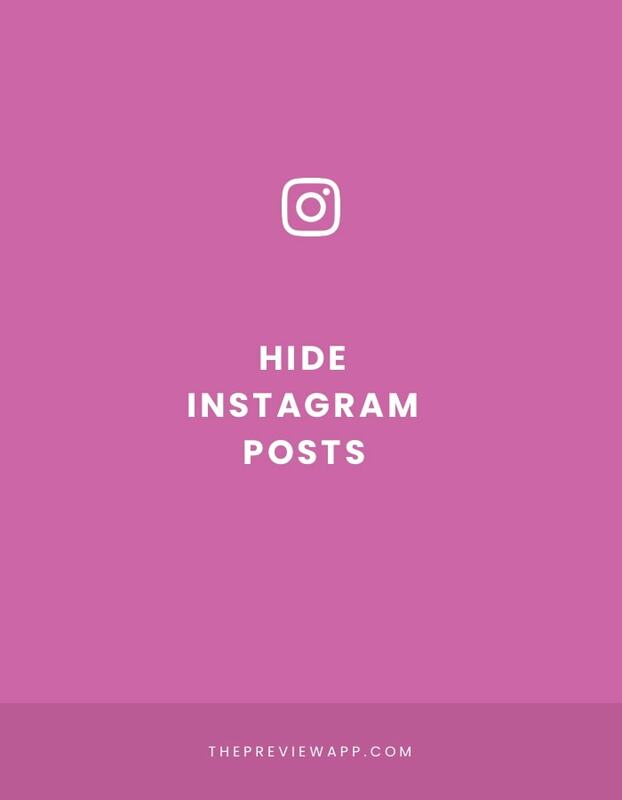 How to Hide a Post from your Instagram Feed? Can’t stand seeing some of your old Instagram posts? Is it time to clean up your feed? But you don’t want to delete your photos forever? You just want to hide them from your feed? Say hello to the “Archive” feature on Instagram. It allows you to hide photos from your Instagram feed. Only you can see these hidden posts. And you can unhide them whenever you want. It’s an awesome way to clean up your feed before you start using your Preview app to design your new Instagram feed. Open your Instagram app and find a post you want to hide. Press on the three dots that are on the top right corner of your post. Now, what if you want to unhide the post? How to unhide the post? Your Instagram post will reappear where it used to be in your feed, before you hid it. It will not appear at the beginning of your feed, like a brand new post would. Have fun cleaning your Instagram feed!